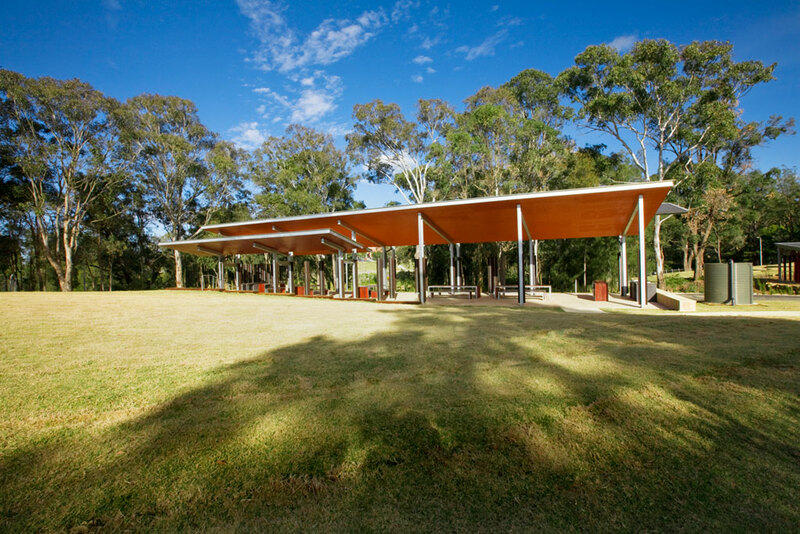 The Environment Centre at Iron Bark Ridge Park is a covered, open-air pavilion; it provides a classroom and meeting venue for local schools and community groups; and picnic shelter for the general public. 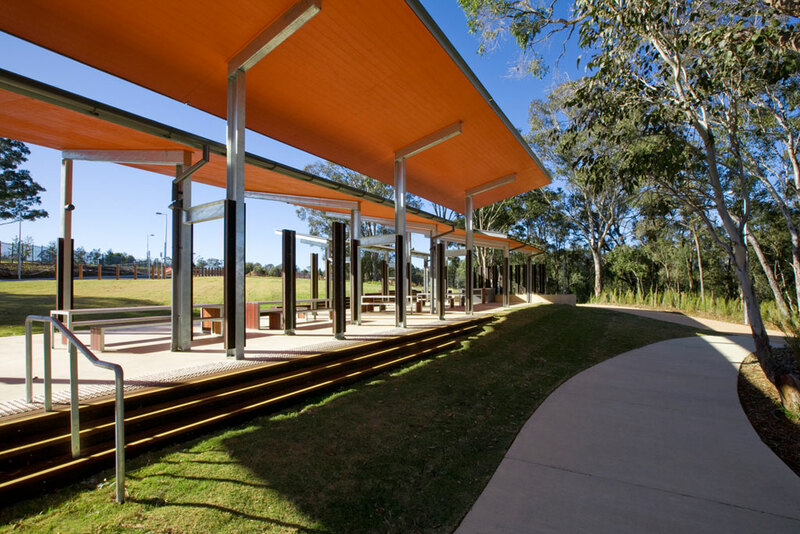 Iron Bark Ridge Park is connected by cycleways to a larger network of parks, and open spaces that have been designed by Oculus as part of The New Rouse Hill. 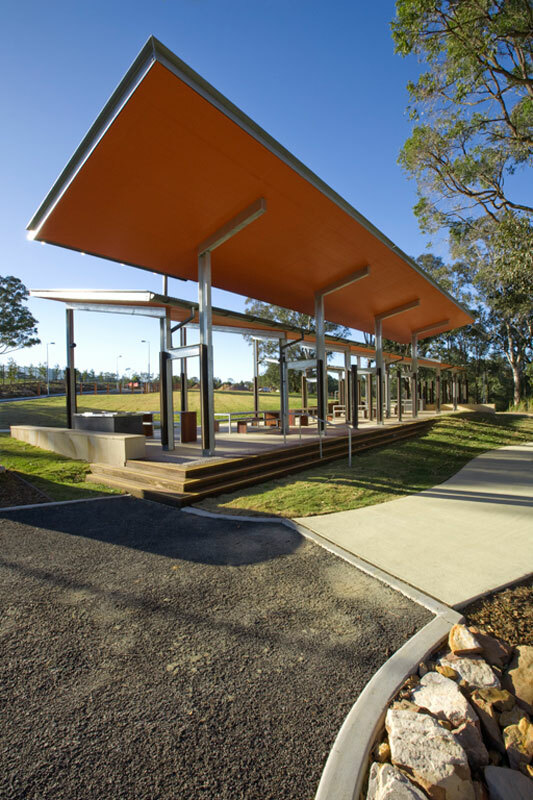 The New Rouse Hill is being delivered as a joint venture between Lend Lease and the GPT Group, in active partnership with Landcom and the NSW Department of Planning. 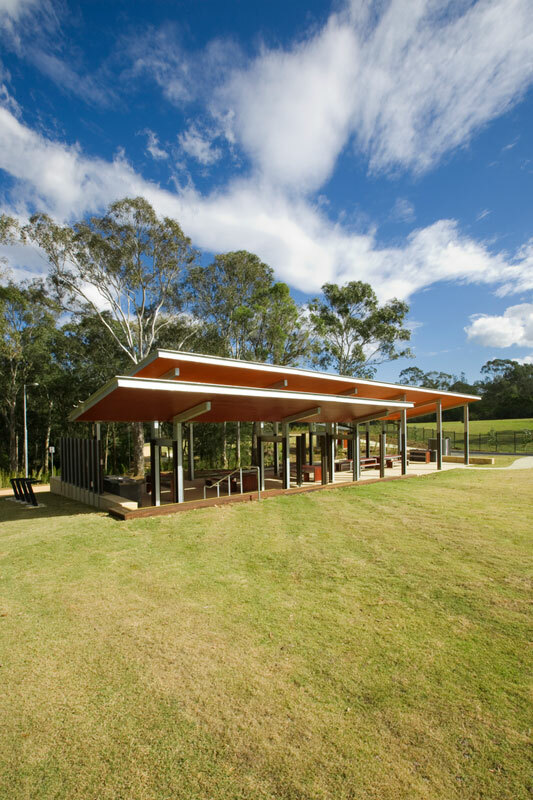 The pavilion is located against the trees at the edge of a gently sloping meadow. 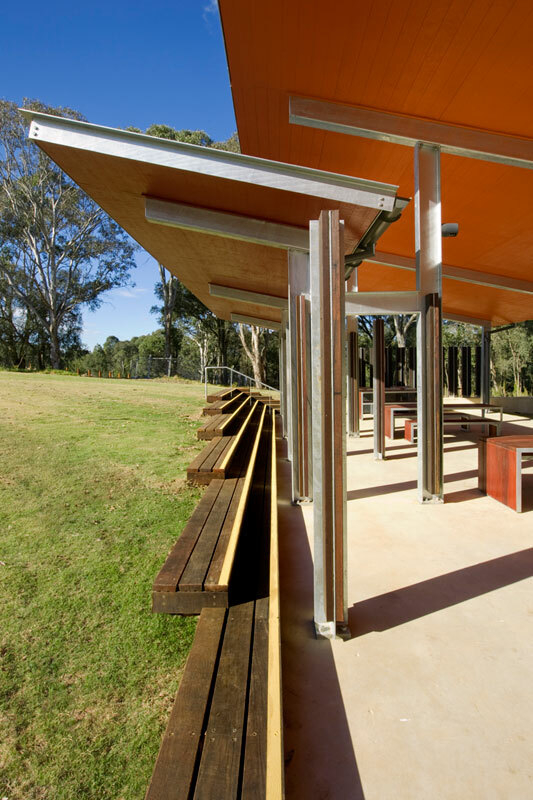 The site gradually falls 1.5m from south to north, and the pavilion accommodates this grade change diagonally, creating amphitheatre seating at opposing corners. 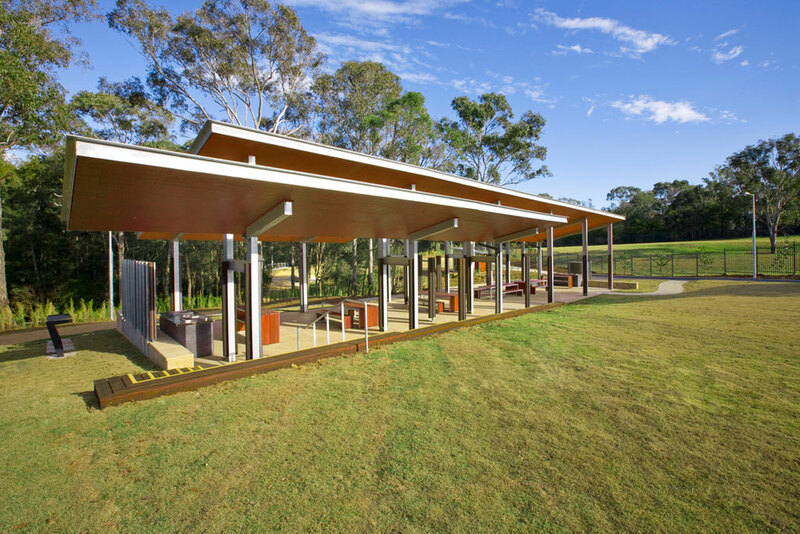 These are informal gathering spaces and allow two separate, larger groups to use the building simultaneously, while their east and west orientations suit either morning or afternoon use depending if shade or sunshine is desired. An outdoor room; viewed from a distance the cluster of roof planes addresses all sides. 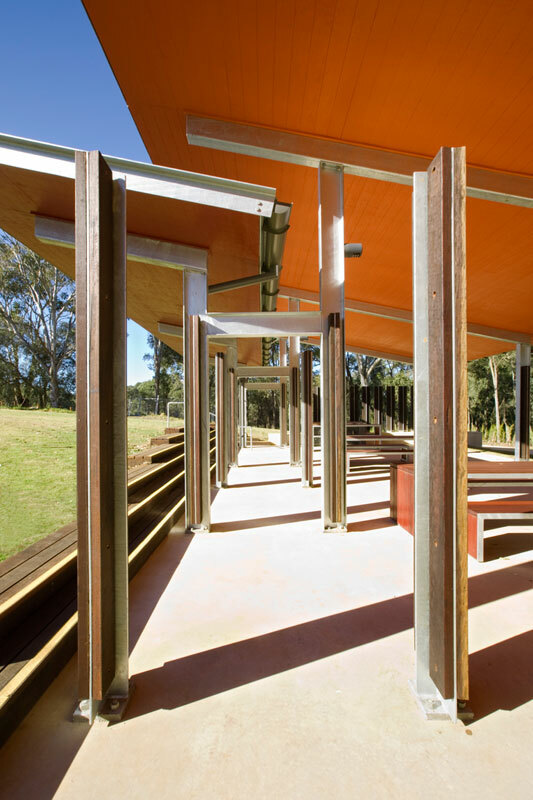 Experienced close to, the roofs form a lofty canopy, and the columns define interstitial spaces within the pavilion. 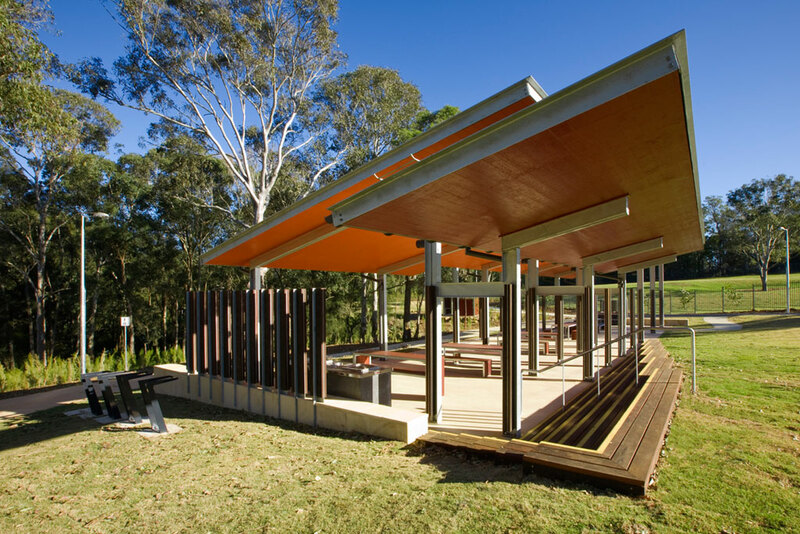 Fixed tables and benches furnish the spaces, with BBQ’s, and serveries located at either end. Rainwater is harvested from the roofs, and is used to supply the amenities building. With no walls, the roof is the elevation. This is articulated by employing three different planes, with varying height and presentation. While the portal frames share pitch, and rhythm, the triple roof lends subtle variations in form and connection. 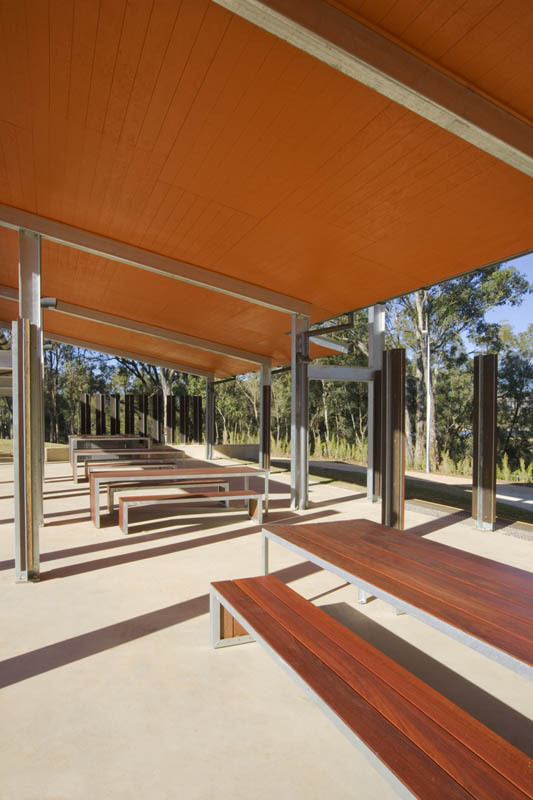 The galvanized finish of the primary supporting structure is clearly legible against the intense painted colours of the soffits, which in turn contrast with the sky and tree canopy.